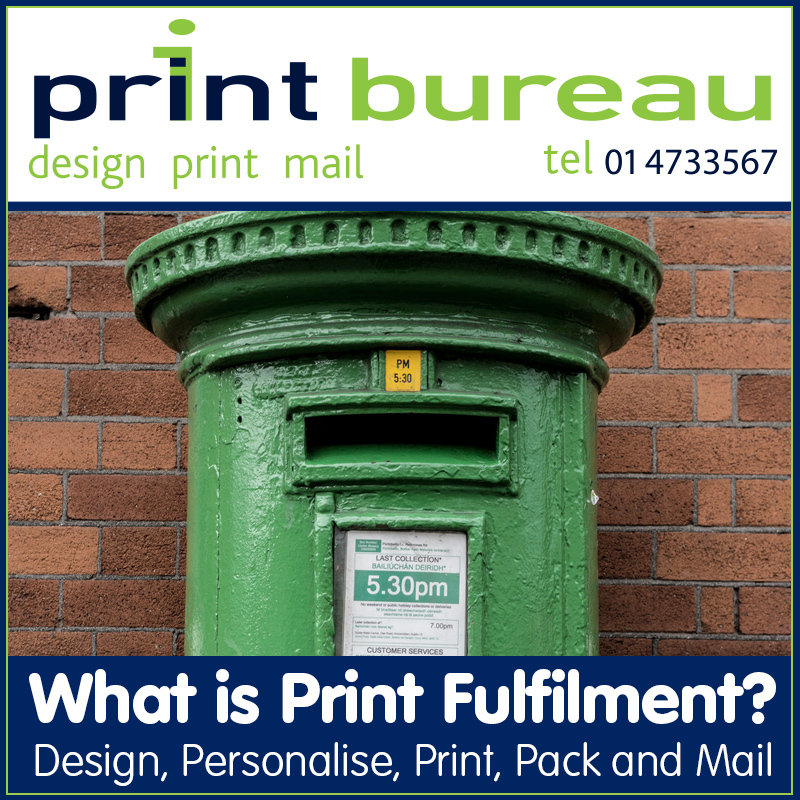 Print Bureau has years of experience offering Print Fulfilment services to many of our clients. 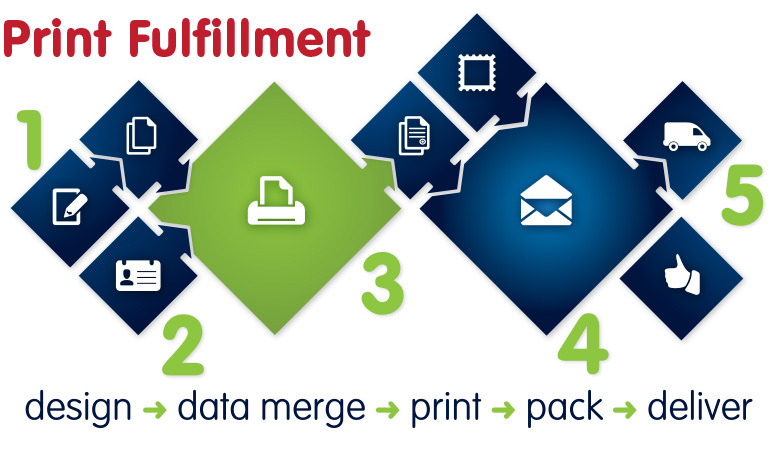 Our state-of-the-art design, data merging, printing and packing equipment allow us to professionally handle any type of item, from promotional letters, loyalty programme vouchers, personalised financial reports, to invoices, voting forms and simple letters. We can print and mail 100 or 10,000 and as often as required. Our design team will prepare your letter, questionnaire, invoice, etc, to match the require format and style specifications. We are registered agents for AnPost and we deliver all packed items to the An Post Mail Centre every afternoon. So no matter where in Ireland you are based, there is no need to feel overwhelmed by the task of organising a full mailing, we are here to help. As everyone’s requirement is different, why not call us to discuss your project, we’ll advise you regarding every step from design to delivery, and provide you with a quotation for the full job.